This level has medium difficulty and you need to use good technique to complete this level. 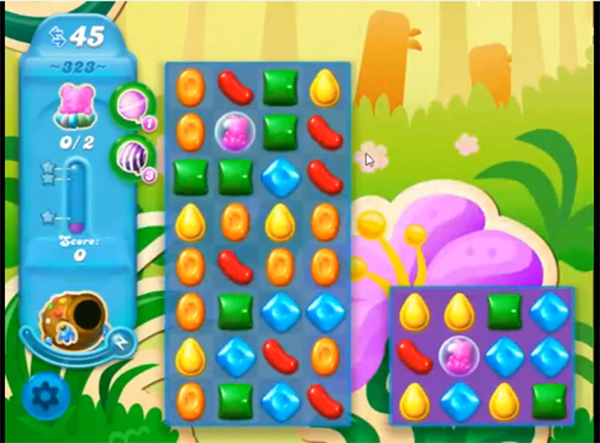 For this level you should try to play from left part of the board and try to make striped candy combo like striped candy with colorbomb or wrapped candy to break the soda bottles and take bears to the top to take them out from the board. I do not get anything about this board. I’m just randomly making matches and, of course, it’s not working. I did actually see swirls at one time but no idea how I got there. And I wish someone would tell me what those faucet looking things do in some of the games.